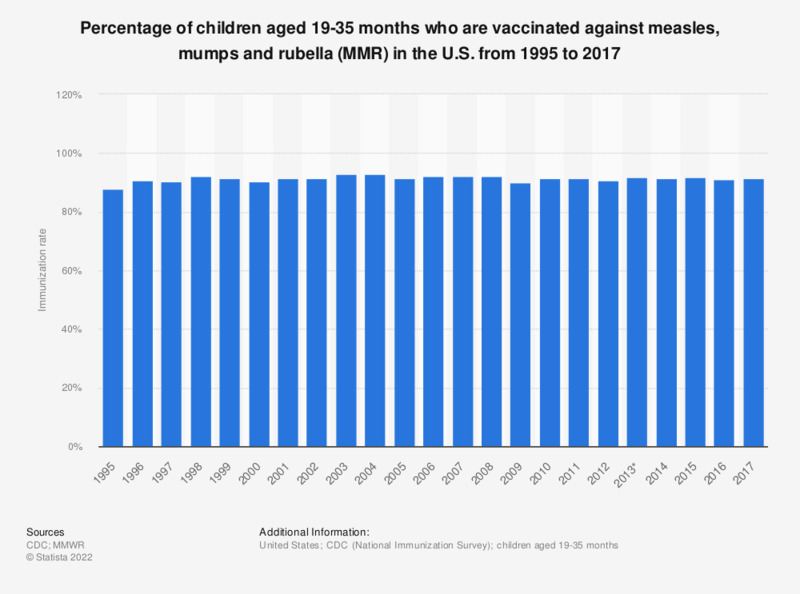 This statistic shows the percentage of children aged 19-35 months vaccinated against measles, mumps and rubella (MMR) in the U.S. from 1994 to 2017. In 2017, some 91.5 percent of U.S. children of that age were vaccinated against MMR. * Figures from before 2013 were taken from an archived table from the same source and can be found here. What is your opinion on the vaccination against rubella, which is recommended for children during the first 24 months?